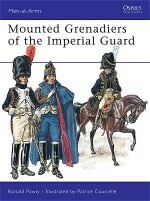 Dressed in distinctive green uniforms and classically inspired copper helmets, the Dragoons of the Imperial Guard were raised in 1806 by the same criteria as other Guard units - by selection of picked, literate veterans from Line regiments who had six to ten years of service, and citations for bravery in at least two campaigns. The following year they were named Dragons de l'Impératrice in a unique compliment to the Empress Josephine. As a ceremonial regiment it enjoyed many privileges, but it also saw combat on a number of occasions, including the battles of Essling and Wagram (1809), the Russian campaign (1812, when it suffered severe losses), at Bautzen, Wachau and Leipzig (1813), in the 1814 Campaign of France, and at Ligny and Waterloo (1815). Ronald Pawly was born in Antwerp, Belgium, in 1956 and still lives and works in that city. He is a respected member of several international societies for Napoleonic studies, and an expert on 19th-century military portraiture. He is the author of the monumental The Red Lancers: Anatomy of a Napoleonic Regiment (Crowood Press, 1998), and of a study of Napoleonic veterans' tombs in Belgium. 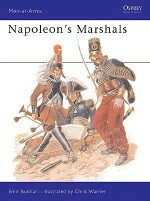 This is the eighth volume on the cavalry of Napoleon's Imperial Guard written by Ronald Pawly for Osprey.